We offer almost everything you need for your metal fabricating needs. Look below to see some of the items we offer. We do not list all the items, so please visit the “request a quote” page to request information on other items. CYLaser has been pioneering the application of solid-state fiber optic laser technology for industrial cutting applications since 2004. Today, hundreds of installations later, our original vision of a robust, precise, efficient and highly productive laser cutting system is meeting the test of real world production around the world. For more information, please visit the CYLASER website www.cy-laser.com/en and then contact us for more information or a meeting to determine which machine is best fit for your needs. 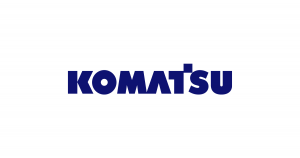 Komatsu Plasma Cutting Systems are a cost effective alternative to laser cutters, by providing precision quality cutting at lower initial cost and production cost. The TFP3062 6 x 12 150 Amp (30kw). has a 6 x 12 ft. table, new FANUC 0iMC CNC, and rearranged gas controls for easier access next to the CNC. NC program storage capacity has been doubled. A USB port can be used to load NC programs. The new features are also part of the new model TFP3051 Mark IIIα 5 x 10. See the Twister Flash Movie for videos comparing models and features. The Oxy Propane Attachment Option extends the steel maximum cutting thickness from one inch to two inches (25mm to 50mm). The Twister TFP3051 Mark IIIαis the latest model 5×10 30 kW (150 Amp) CNC Fine Plasma cutting system from Komatsu. All Komatsu Plasma Cutters feature arc voltage height control. Marking is done using the plasma torch and argon gas. The extended stroke high body option increases capacity for steel tube cutting. Eagle/Carell was founded to fill a need for tough, dependable plate rolls, angle rolls, pipe benders, horizontal presses and various other benders. 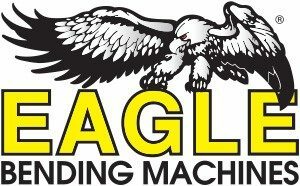 Eagle/Carell provides the widest range of bending machines, options and tooling to match any budget and application. Our expanded machine shop can satisfy the growing demand of custom tooling of any complexity. All machines are inspected and tested at least twice to ensure maximum quality control before shipping to our customers. Our dedicated application engineers bring a higher level of expertise to meet your needs. As one of the most powerful companies in the sector, Ermak produces high quality and high technology machines with 51 years of experience. We have a modern production facility with 800 adopting efficiency and quality as primary principles. The main facility of Ermak is equipped with precise and brand new technology CNC machines and has the capacity of producing 3000 sheet metal processing machines annually.